We are among the most trusted companies for providing Heavy Duty Paper Cutter to the clients. This product can be customized as per our customer’s specifications. We offered this product to our patrons in the stipulated time to meet the market demand. 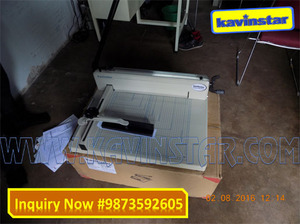 Heavy Duty Paper Cutter is available in various sizes, dimensions and designs as the need of the clients.